Of all the various species of complication to be found in a mechanical watch, the chronograph is definitely one of the most useful. A chronograph watch is a timepiece that acts as a stopwatch and displays the regular 12-hour time. The ability to precisely time events is something we can all take advantage of, whether we’re competing in any number of sports, heading out for a run or even trying to make dinner without setting off the smoke alarm. It is a feature that has been around for over a hundred years, first in pocket watches and later, with much of the early development pioneered by Breitling, on wristwatches. Today, practically every brand has at least one chronograph in its arsenal, and the function has evolved over the years into several different types. Below, we will take a look at some of the most popular variations, and explain what makes each distinctive. But first, a couple of terms you will often come across as you delve into the world of mechanical stopwatches. The chronograph is a common tool and used by professionals in sports and for everyday use. As the name suggests, a subdial is a smaller dial contained within the area of the watch’s main dial. On a chronograph, these additional displays are called on to measure different elapsed time readouts. 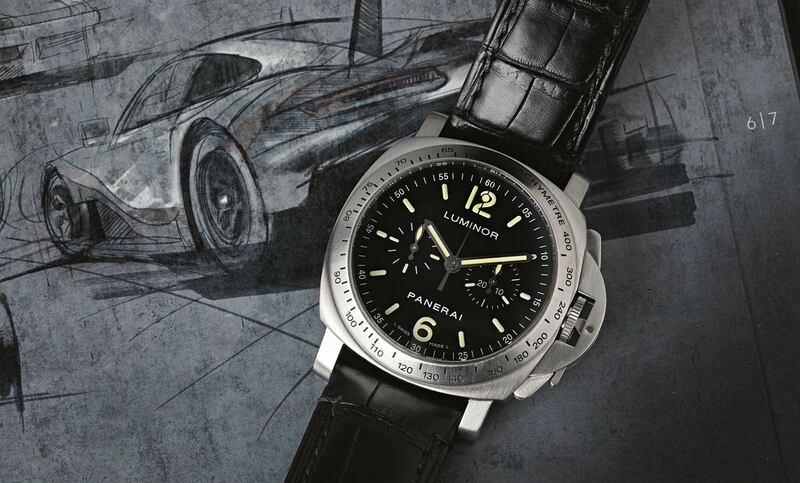 There are two types of chronographs, the Bi-Compax and the Tri-Compax. In general terms, a chronograph will come in either a bi-compax form, otherwise known as a twin-register, or else a tri-compax, or triple register. 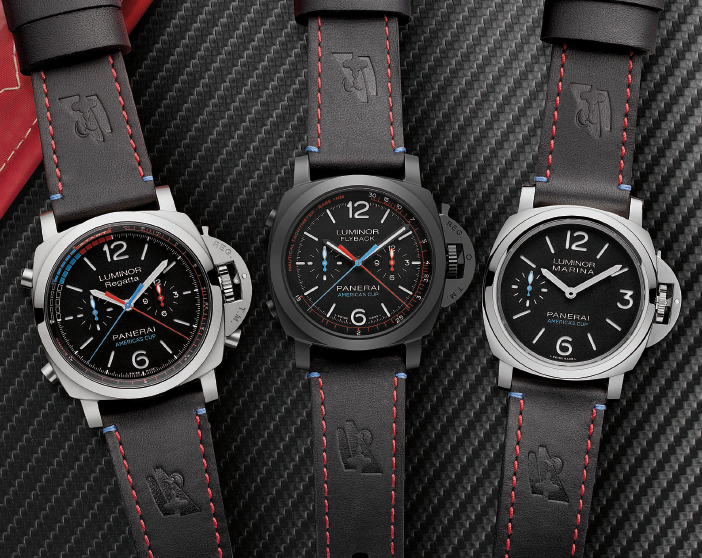 The names relate to the number of subdials each watch uses. Bi-compax models use two subsidiary dials, one that is constantly running as the standard seconds counter, while the other is usually a minute totalizer which only comes into operation when the chronograph is in use. With a tri-compax, using three subdials, again one is the main seconds hand, the second is a chronograph minute counter and the third measures elapsed hours. As a rule, bi-compax chronographs record for up to 30 minutes, while tri-compax can time up to 12 hours. Now, let’s look at the different types of chronograph available. 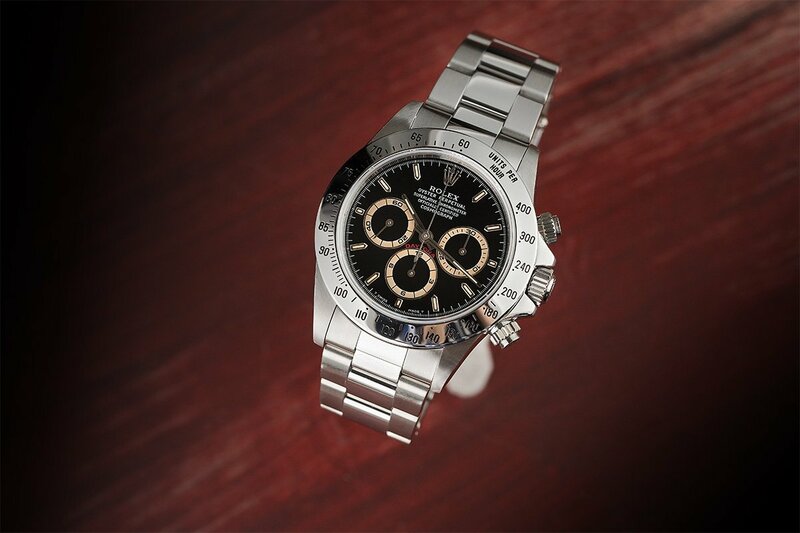 Watches like the Rolex Daytona and the Omega Speedmaster are the most common type of chronographs. 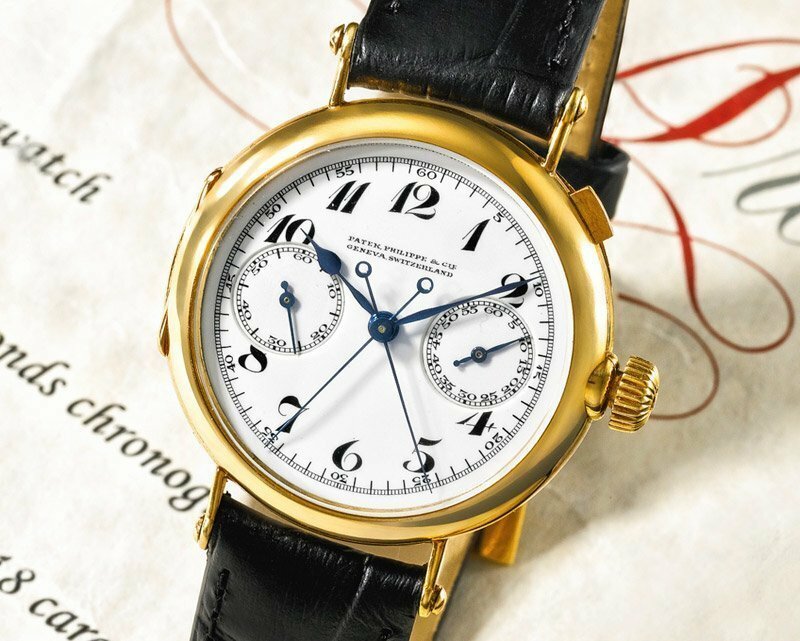 By far the most plentiful, this form of chronograph has two push buttons, generally straddling the crown at the two and four o’clock positions. Pressing the top button sets the counters going, and pushing it a second time stops them. From there, you can either press the top button a third time to set the timer off again from the same position or else reset the chrono hand back to zero by pressing the lower button. 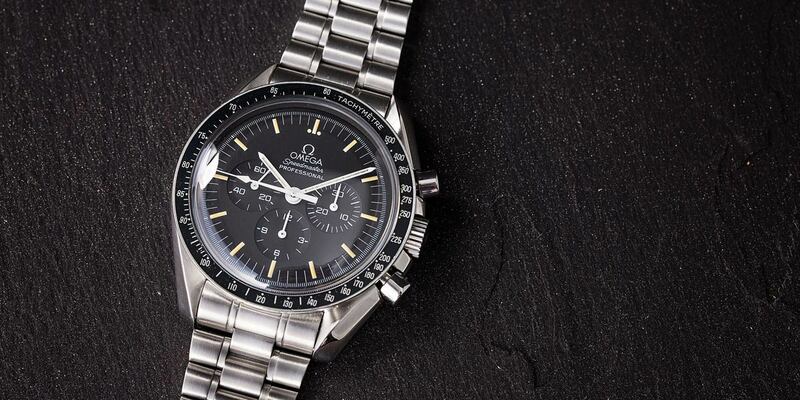 Legendary names such as the highly desirable Rolex Daytona and the Omega Speedmaster are both this type. No prizes for guessing the difference here. 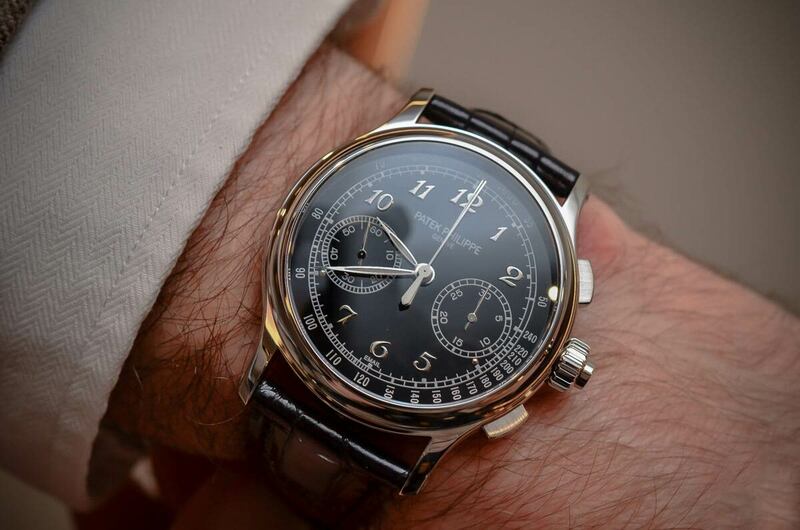 Where the most common style of chronograph has two buttons, the Monopusher only has one. It gives the advantage of a cleaner looking case, with some brands even incorporating the button into the crown itself, but with the downside of a somewhat diminished performance. As all the functions are controlled by the single pusher, it is not possible to continue the timing again once it has been stopped. The hand will always go back to zero with the third press. Panerai’s extraordinary, and extraordinarily named, Luminor 1950 Ceramic 8 Days Chrono Monopulsante GMT is a modern take on the complication. Looking very similar to the common type, with two push buttons, the Flyback has an additional feature that comes in extremely useful if recording an event with multiple laps. It works in the normal way, with the top button starting and stopping the timer and the bottom one resetting it. But the lower button can also be pressed when the chronograph is in action, which causes the main hand to reset to zero and immediately start again, all with just a single push. It means the operator doesn’t have to press the top button to stop the hand, then the bottom one to reset it, and then the top one a second time to restart it again, all the while losing vital split seconds of whatever race they are trying to record. The El Primero Chronomaster 1969 from Zenith, another iconic name fundamental to the development of the chronograph, is a great example of a Flyback piece. *One important note; pressing the bottom reset button on a common type while the chronograph is running is likely to cause damage to the movement. The Rattrapante, or split-seconds, chronograph is the most complicated and usually most expensive type. Along with the buttons at two and four o’clock, the Rattrapante has an additional pusher, most commonly found on the opposite side of the case at the 10 o’clock. It is this third button which controls the split-second function. They also have a second chronograph hand, tucked away beneath the main one, which is not visible until it comes into use. After starting timing in the normal way, with the first pusher, pressing the split-seconds button stops the upper of the two hands, while the bottom one continues on. So, if you are timing two competitors, you can stop one hand as the winner crosses the line, and the second as their opponent finishes and instantly be able to see the difference. Alternatively known as a doppel-chronograph or a double-split, the Rattrapante (from the French for ‘catch up’) is generally only found at the very top end of horology. Patek Philippe’s ref. 5370 is one particularly beautiful example, as you would hope, at around $220,000. IWC’s Pilot range also includes a fine model, the IW 371808, at a much more palatable $14,000 or so.